New limited-edition bundle includes a custom-designed 1TB PS4 console, complete with matching DualShock 4 controller and a copy of Call of Duty: WWII. 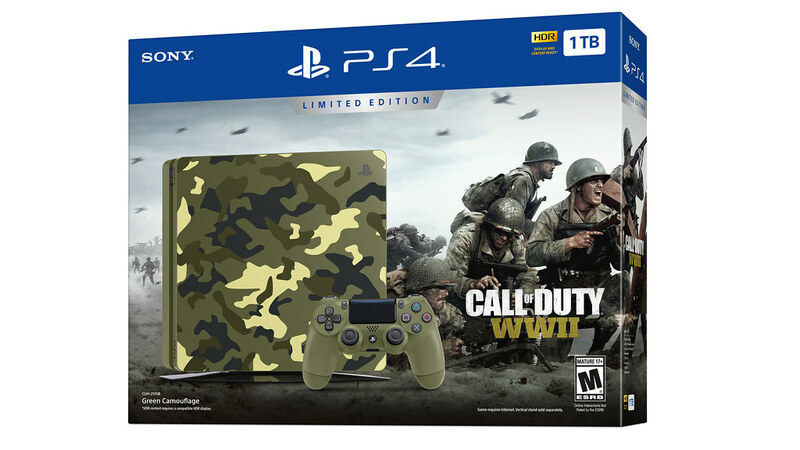 Today I’m happy to introduce the Limited Edition Call of Duty: WWII PlayStation 4 Bundle. 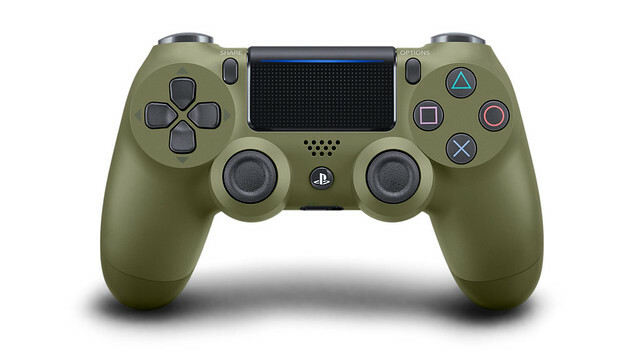 This special bundle features a green camo PS4 system equipped with a 1TB hard drive – which if you take a closer look you might spot patterns of something you’re all familiar with… The bundle also includes a matching green DualShock 4 wireless controller, and a physical standard edition copy of Call of Duty: WWII. And don’t forget, PS4 users get early access to Call of Duty: WWII DLC Map Packs, which will launch on PS4 30 days ahead of other platforms (sold separately). This bundle will be available across the U.S. and Canada for $299.99 USD (MSRP) / $379.99 CAD (MSRP) alongside the game’s launch on November 3, 2017. But you don’t have to wait – you can pre-order your bundle soon. Let us know what you think of this special edition PS4 in the comments below. Hope to see you all online in November! Will it come out on PS4 Pro??? It’s weird this isn’t the PS4 Pro model since one would presume they’d want to advertise the PS4 Pro with the new COD game, right? Maybe they’re going to have a new COD WW2 model later with the PS4 Pro? Let’s wait and see. It’s a smart marketing tactic. This system will push sales this holiday season and people will only get the slim version. Where as if they put it with the PRO then you won’t need to upgrade until the PS5 comes out and later on down the road they “might” go out and upgrade to the PS4 PRO. Which means 2 sales instead of one. Wow, terrible camo pattern…would buy that controller tho. It’s not posted yet. I presume they’re going to update the post? This is cool that PlayStation is doing a new bundle like this. But this was expected. Honestly though, I’m still using the standard PS4 and I intend to upgrade to the PS4 Pro and a 4K TV this holiday season. Hopefully we get a price cut on the PS4 Pro. How is this a bundle when all I see is a controller? Where’s the console? I need a Pro model bundle like this. Hope I’m not in the minority but that’s a really ugly console… Like the last COD design way better. Though I’m really not the target audience for it… so whatever floats your boat COD folks. will the controller be sold separately? I like the controller, but that is one ugly console. Not the Pro version? Too bad, I would have been all over it. FINALLY! A PS4 that’s not in BLACK! So… Red PS4, when?! Will the price of the PS4 be reduced to $249.99 before the holidays? Would love to have just that OD Green DualShock 4! Will that ever be sold by itself? A vomit green PS4… yuck. will you be able to get the controller separate aswell? I already have a ps4 and green is my favorite color so i NEED a green controller!!!!! I would of totally considered getting this if it was just that solid green on the console and not the camo. I swear Sony of America puts absolutely NO effort in their limited edition consoles. Compare what Japan gets and how Microsoft limited edition consoles look compared to us in the USA… Remember all those beautiful PS3 consoles we never got here in USA? The Uncharted 4 and Batman PS4 consoles must have been flukes then. Sony around here just don’t care. 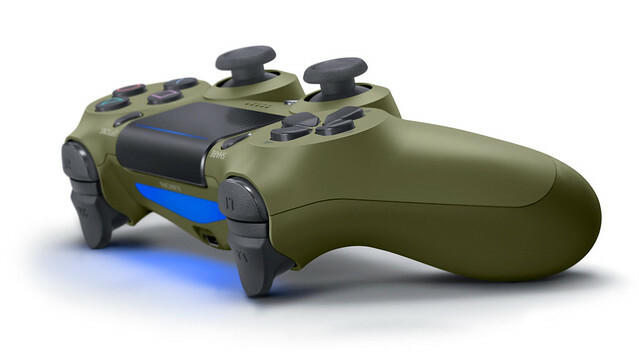 Give me an all green PS4 Pro bundle without the camo. I’m going to upgrade to the pro this year. Can we get a bundle or price drop announced sometime soon?? What ever parties are responsible for designing and approving this most awful of consoles should be fired. That’s one hideously looking console. is it availeble in region asia ? That design tho…not their finest hour. I love it!!! Of course the “mom’s basement” dwellers don’t like it but I’m going to look into it. I already have the COD with all map packs preordered and payed for. I’m guessing this won’t come with DLC. Looks good.i’am considering upgrading to 1tb, i would definitly buy this.